Gear Da Vinci Metal Silver Desk Clock Which Rotates 360 Degrees with Silver Engraving Plate. Corporate Employee Recognition Retirement Award Desk Clocks. 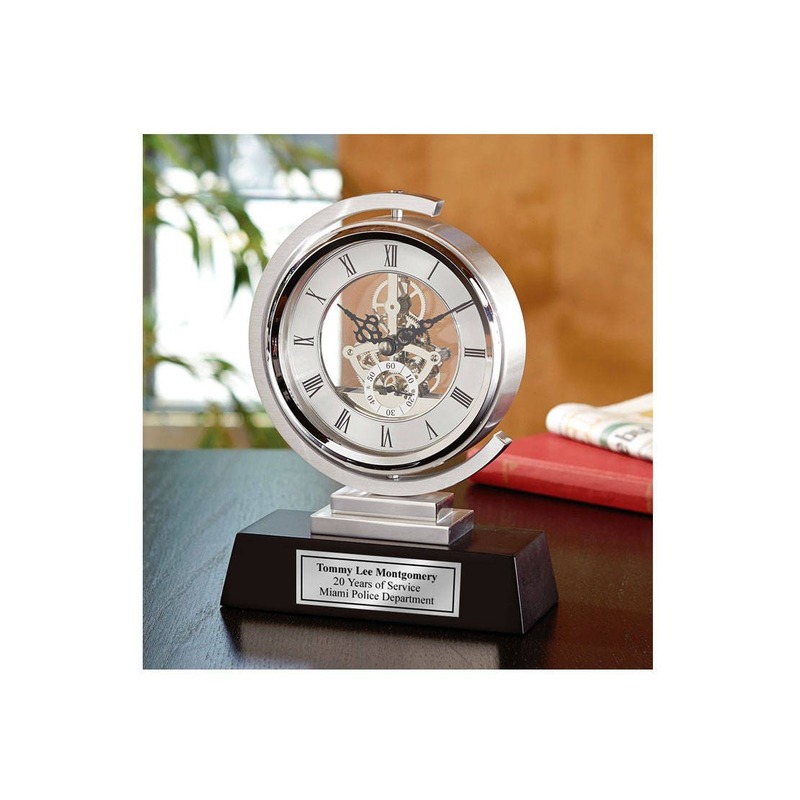 Offering employee appreciation and retirement awards such as personalized desk clocks, crystal clocks and plaques. Engraved clocks for anniversary, retirement, recognition and employee service award.